In Six Sigma terminology, an "opportunity" is defined as a chance for non-conformance, or not meeting the required specifications. Six Sigma believes that it is the customer who can define what is quality and what are deviations. The concept sees things from customer's eyes. For instance, the Six Sigma thinking defines a defect as the instance of "failing to deliver what the customer wants", and a variation as "what the customer sees and feels". And the design for Six Sigma focuses on meeting "customer needs and process capability". 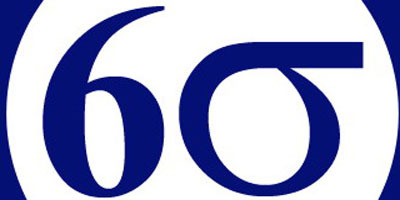 Six Sigma is a top-down methodology but it involves everyone in an organization - and even its suppliers. Organizations create exclusive positions like Black Belts (who lead problem-solving projects; train and coach project teams), orange-text Belts (who assist with data collection and analysis), Master Black Belts (who train and coach Black Belts and orange-text Belts), and Yellow Belts (everyone else in the organization who participate as team members).